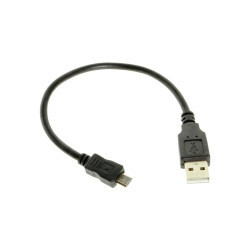 The USB A to Micro-B cable can be plugged into a computer, game console, or AC adapter for any application that requires the use of a Micro-B cable. It supports and is compliant with USB 2.0 data speeds of up to 480Mbps and backward compatible with USB 1.1/1.0. It's ideal for computer Micro-B port peripherals.